The Gibraltar Betting and Gaming Association (GBGA), which represents companies such as 32Red and Victor Chandler, is to take legal action against the UK government over new licensing and tax rules due to come into force later this year. The Gibraltar Betting and Gaming Association is taking the UK government to court over its new gambling laws due to come into effect later this year. The GBGA has written to the Secretary of State for Culture, Sajid Javid, warning that it will be seeking a judicial review of new “unlawful” licensing rules. The association is saying that the new rules are in breach of European law and could expose British gamblers to “unscrupulous operators”. From December 1st all online bets placed in Britain will be subject to a 15% “point of consumption tax” which is expected to bring in around £300 million each year to the Treasury. 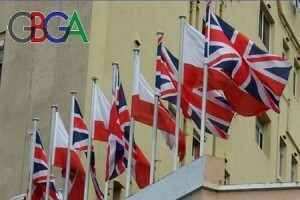 Now the GBGA has hired lawyers at Olswang to challenge the new laws amid fears that they could result in bookmakers relocating from Gibraltar to Britain rather than have to deal with two different regulatory regimes. At present the UK government and Gambling Commission have been placed on notice of a claim for judicial review, they now have two weeks in which to respond. Jenny McKinnley is OCA’s financial correspondent. After spending years on the trading floor in both NY and London, she offers insight from the inside out on world financial news and events.